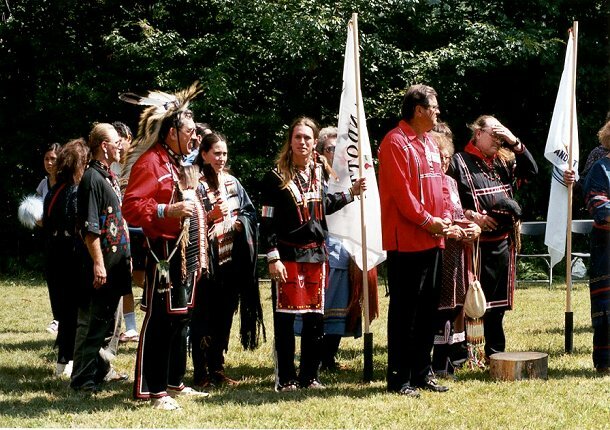 Three hundred and fifty years after the destruction of Wendake, descendants of the refugees returned to Simcoe County or “Huronia”, as it is popularly known. 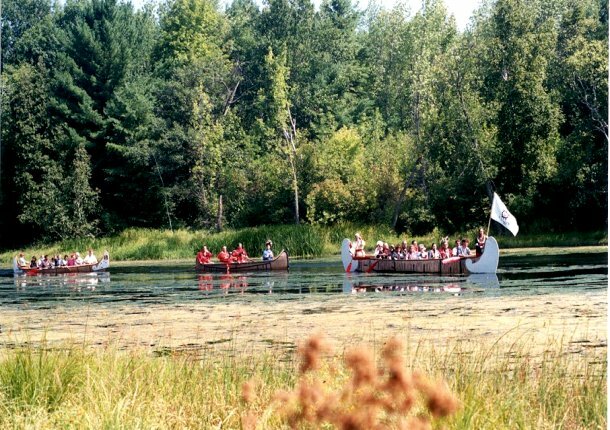 Representatives of the Wyandotte Nation of Oklahoma, the Wyandot of Kansas, the Wyandot of Anderdon (Ontario) and the Wendat of Wendake (Quebec) paddled up the Wye River and met at Sainte-Marie Park in Midland. Most delegates had never seen their ancestral homeland. The descendants of the original refugees were scattered widely across the continent. Isolated from each other, they developed along different paths. 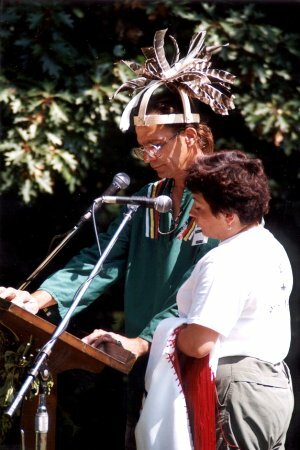 The Wendat language is no longer in common use by any of the communities. In fact, they are divided by their use of European languages. The Wendat Nation is francophone while the others are anglophone. Yet, these communities managed to harness a renewed interest in their heritage in order to arrange this historic event. 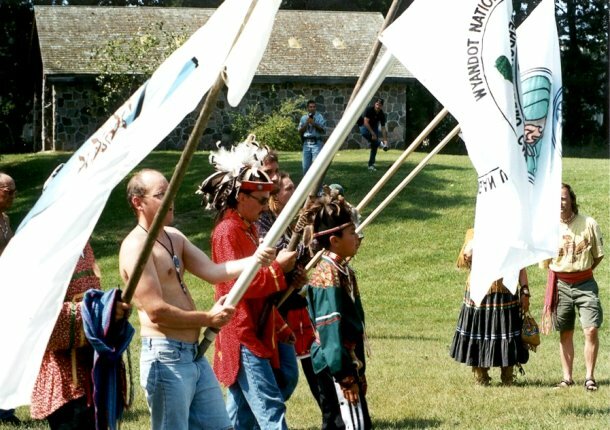 The purpose of the gathering was both to commemorate the 350th anniversary of their dispersal as a people and to take possession of the remains of some of their ancestors. 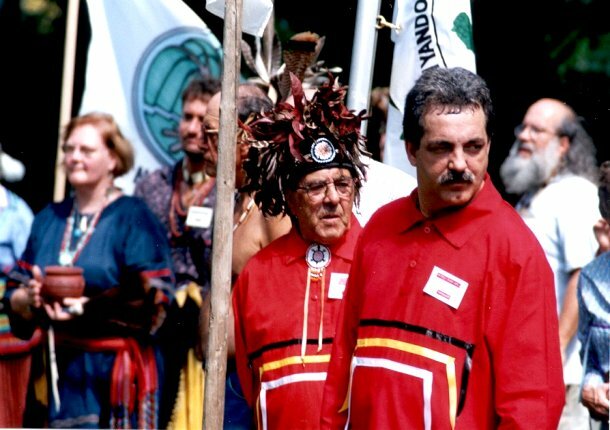 During the evening ceremonies on the 28 August 1999, a new Confederation was announced between the four communities. The event was, in fact, partly public and partly sacred and private. 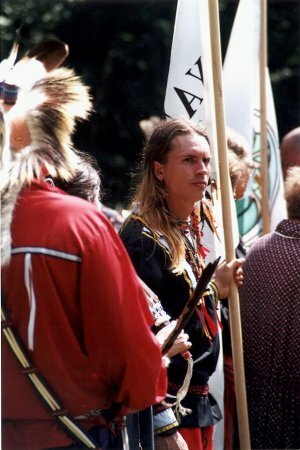 The remains had been in the possession of the Royal Ontario Museum but were returned to the First Nations communities to allow for reburial by their descendants. 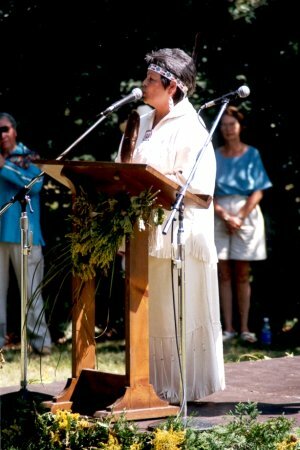 The reburial ceremonies were accompanied by the traditional “Feast of the Dead” and took place at Ossossane, near the shores of Georgian Bay. Never before had representatives of the four communities met face to face or in their ancient homeland. The historic site of Sainte-Marie-among-the-Hurons provided a suitable backdrop and perfect summer weather greeted the visiting delegates. 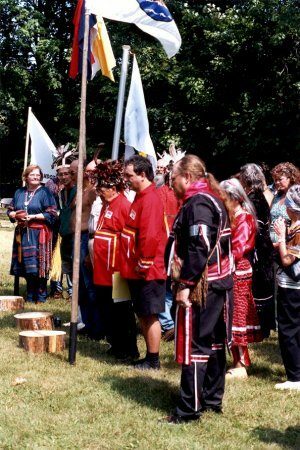 Chiefs of the visiting nations and the local M’Njikaning and Beausoleil Firsts Nations along with local politicians addressed the crowds clustered in the shade of surrounding oak trees. 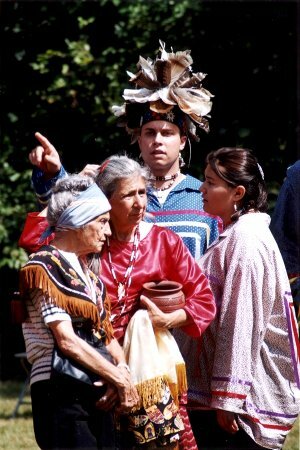 The small size of the crowds could not detract from the fact that the weekend’s events were of great historic value and represent the beginning of a rediscovery of a heritage thought lost through the passage of time and the effects of assimilation.